First, it confirms that these strange days have been blindingly golden for black pop culture. "Black Panther" just made history at the box office, Beyoncé just made history at Coachella, and on Monday, one of the leading candidates for Voice of His Generation made history by winning a medal that has only ever hung across the hearts of classical and jazz musicians. Hopefully, that newish museum down on the National Mall still has some empty space on the walls. Here's what else it means: That rap music is the most significant pop idiom of our time. It's the sound of 21st century American life - a black art form with a black-and-white-and-everyone-else audience. The music is an implicit conversation about the conjoined legacies of slavery, segregation, police brutality and other hideous injustices that our society doesn't care to solve. In that sense, rap music is the sound of a broken nation struggling to understand itself. And Lamar understands that. Whenever he darts off into a virtuoso verse, he isn't trying to dizzy our ears much as vocalize his own hyper-awareness to the state of the nation in real time. On DAMN his astonishing 2017 album, he surveys a smoking landscape and lets the disappointment bounce off his tongue: "It's murder on my street, your street, back streets, Wall Street, corporate offices, banks, employees and bosses with homicidal thoughts." In a profoundly disorienting American moment, here was a rap album that sounded clear-eyed and sure-footed. On Monday afternoon, it earned a 30-year-old from Compton his first Pulitzer. Let's not forget that "DAMN." didn't win album of the year at the 60th Annual Grammy Awards back in February - a depressing kind of shock, until you remember that the Recording Academy has only ever bestowed its most-coveted trophy to a rap album once. 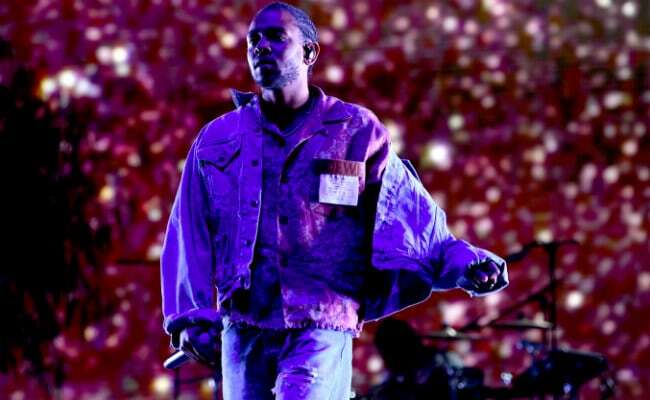 The loss marked Lamar's third consecutive snub for album of the year, and it was enough to make you wonder why an industry that profits so handsomely from black art so adamantly refuses to celebrate it. Some awards mean more than others, though, and while prestige often tends to calcify our ideas about what constitutes greatness, the Pulitzer committee has stepped up to recognize the worthiness of Lamar's work. In doing so, our shared definition of "great music" instantly becomes more flexible. Maybe Lamar knew that all along. He's always courted prestige, and in 2015, when his galvanic To Pimp A Butterfly was nominated for album of the year at the 2016 Grammys, he had no qualms asking to be recognized by the powers that be. "Ultimately, for the hip-hop community, I would love for us to win them all," Lamar told the New York Times about the nine prizes he had been nominated for that year. "Because we deserve that."